Republican Jay Obernolte currently represents Assembly District 33 and will not be termed out until 2026. Obernolte is expected to win re-election in 2016; however, a well funded and well known Democrat could compete for this seat due to a close split in voter registration. Jay has over 25 years of private sector experience as one of the nation’s leading high-tech innovators and has served as a public servant for nearly a decade. His unique background led to his selection as the Assistant Republican Leader of Innovation and the New Economy. In this capacity, Jay serves as the leading voice of the Assembly Republican Caucus on policy goals that encourage growth and opportunity within California’s vibrant innovation economy. As a junior in high school, Jay discovered his passion for computers while creating his first commercial computer program. Jay earned a Bachelor of Science Degree in Engineering and Applied Science at Caltech where he also founded his business out of his dorm room. He went on to receive a Master’s Degree in Artificial Intelligence at UCLA. Today his company, FarSight Studios, employs 25 local residents and develops videogame technology for Sony, Microsoft, and Apple. As a public servant, Jay was first elected to the Board of the Big Bear City Airport in 2005 where he served three terms as President. In 2010 he was elected to the Big Bear City Council and quickly became known as Big Bear Lake’s fiscally-responsible Mayor. In addition to his council responsibilities, Jay also served as a Director on the Big Bear Lake Fire Protection Board and a member of the Big Bear Fire Authority. Regionally Jay has served as a Director on the Mojave Desert and Mountain Integrated Waste JPA Board, the Mountain Area Regional Transit Authority Board, and on the League of California Cities Desert-Mountain Division. 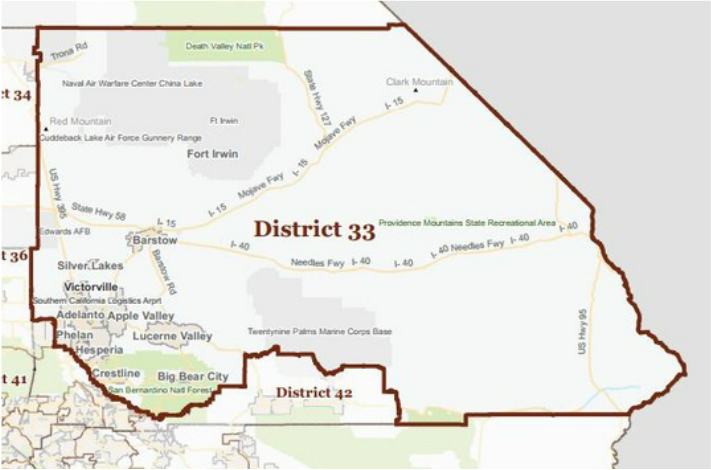 In November 2014, Jay was elected to represent the 33rd Assembly District. In addition to Jay’s dedication to public service, he has a number of other interests including martial arts and aviation. He holds a fifth-degree black belt and believes martial arts instill the virtues of discipline, hard work, and mental fortitude. Jay has also flown light aircraft for 24 years. He has an Airline Transport Pilot’s license—the highest category of pilot license—and volunteers with the Veteran’s Airlift Command to provide transportation to injured and disabled veterans. He and his wife Heather have two sons, Hale and Troy, and have made Big Bear Lake their home for 19 years.